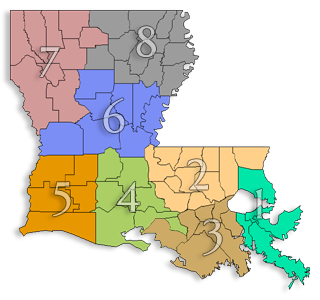 LAPDD has launched: Louisiana eBIZ. This is a statewide effort to grow small and emerging business — more quickly — by directing Louisiana start-ups and entrepreneurs to electronic access for knowledge, resources, and tools. ONLY 36% of small businesses in the U.S. have a web presence and only a small subset of those actually sell products and services online. Going “global” with an effective presence online allows businesses to extend their reach, increase revenue and profit, and expand their market. Get started by using online resources to start your business today. Start and grow your Louisiana business today! Establish your plan, access resources, and either start or upgrade your web presence. Visit often, as we will anticipate expanding the site to summarize resources available by regions, as well. LAPDD is partnered with Louisiana Economic Development, through its Small Business Services and its Office of Community Outreach, to advance entrepreneurship — particularly focused on rural areas. Through this effort, the eight planning and development districts will promote the Small and Emerging Business Development program, relate LED business development strategies, and address the competitiveness of Louisiana’s communities by supporting small and emerging businesses. THIS SECTION SHALL BEGIN THE NOMINATION NARRATIVE. EACH CATEGORY HAS A POINT VALUE. A TOTAL OF 100 POINTS IS POSSIBLE. THE CATEGORY POINT VALUE IS SHOWN. 1. OVERVIEW/SIGNIFICANT HISTORICAL EVENTS. THIS CATEGORY HAS A VALUE OF TEN POINTS. In narrative form, give an overview of the business, including significant historical events. Copies of newspaper and/or magazine articles can be included here (affix to white paper and properly identify). 2. PRODUCTS/SERVICES OFFERED. THIS CATEGORY HAS A VALUE OF TEN POINTS. In narrative form, give a description of the products/services offered by the company. 3. EMPLOYEE GROWTH/PLANT INVESTMENTS/SALES. THIS CATEGORY HAS A TOTAL VALUE OF 30 POINTS. Indicate the growth in number of employees over the past three calendar years, by year (2011, 2012, 2013). Put information in column form shown below. 4. EXPANSIONS IN DOLLAR AMOUNT, THIS CATEGORY HAS A TOTAL VALUE OF 30 POINTS.